I’ve been using other plugins to display my code at Perishable Press, Plugin Planet, DigWP, and WP-Mix for years now. The other plugins have done the job, but there are things that I’ve always wanted to change. For example, syntax highlighting. 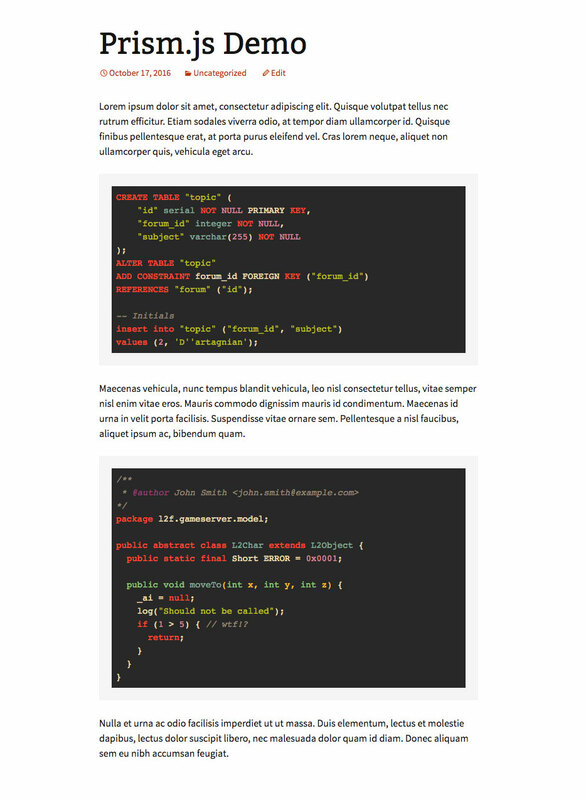 I use syntax highlighting for code snippets at WP-Mix, but not on any of my other sites. So I wanted to combine clean, time-tested code escaping with stylish syntax highlighting. After sharing well over 1,000 code snippets online, I figure it’s finally time to make it happen.. 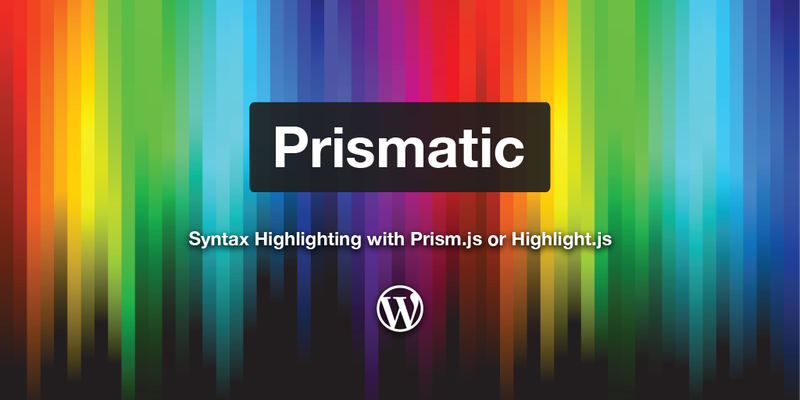 Announcing Prismatic — a plugin that cleanly escapes code snippets and applies syntax-highlighting using either Prism.js or Highlight.js. You can check out more screenshots at the WP Plugin Directory. And check out a live site that is using Prismatic (scroll down to code samples). Prismatic looks stellar! We have started to use it as a dev tool on a few sites and digging it so far. I can’t say it will replace anything so far, but I do like that it only loads the essentials. It also appears to be coded beautifully and securely.